The Buffalo real estate market has two incredibly important indicators working in its favor: appreciation and demand. Real estate in Buffalo is the beneficiary of appreciation rates that have outpaced the national averages for more than a year. Buffalo real estate investing has set the bar for gross flipping profits on a national level. The Buffalo real estate market has enjoyed a particularly active year. Most notably, real estate in Buffalo continues to appreciate at a historical rate without sacrificing demand. Despite double-digit increases in median home values over the last year, homes are refusing to sit on the market for long periods of time. As a result, Buffalo real estate investors have been able to capitalize on market conditions for the better part of 2018. Real estate in Buffalo was the beneficiary of some rather impressive appreciation rates over the course of last year. From September 2017 to September 2018, the Buffalo real estate market saw median home values appreciate by as much as 14%. The rate of appreciation in Buffalo, which was nearly double that of the national average, brought the median home value in Buffalo to $81,200. With prices expected to continue rising, it shouldn’t surprise anyone to see Buffalo maintain its appreciation rate, or even exceed it over the next year. Provided real estate in Buffalo continues at or around its current pace, it’s reasonable to expect median home values to reach upwards of $92,000 by this time next year. According to the most recent data presented by RealtyTrac, a nationally trusted online marketplace for foreclosed and defaulted properties, Buffalo is currently home to approximately 482 distressed homes. Of the distressed properties identified by RealtyTrac, the overwhelming majority are either up for auction, or are going to be at some point in the near future. In all, 69.5% of the distressed real estate in Buffalo is being placed up for auction; the remaining 30.5% is currently sitting on the books of banks as non-performing loans. Regardless of their classification, however, each of these situations represents a unique opportunity for interested Buffalo real estate investors—they just need to know where to find them. Few cities can boast the metrics Buffalo exhibited throughout the second quarter of this year. Per Attom Data Solutions, a branch of RealtyTrac, the Buffalo real estate market proved to be one of the most lucrative for its respective investors. 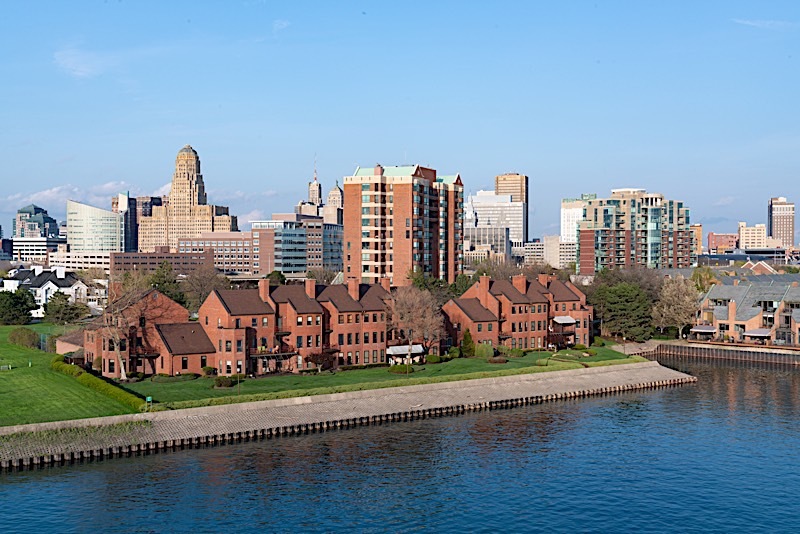 Due, in large part, to historical appreciation rates and unwavering demand, Buffalo real estate investors have outpaced the majority of the country in gross flipping returns. The Buffalo real estate market is something of a “perfect storm” in the eyes of opportunistic real estate investors. With the average median home value well below that of the national average, Buffalo remains affordable. On top of that, however, homes continue to appreciate without losing any demand. In fact, demand remains intact despite increases in prices, which bodes incredibly well for today’s investors. Have you thought about investing in the Buffalo real estate market? If so, what are you waiting for? We would love to know your thoughts on real estate in Buffalo in the comments below.